Plaque and tartar can accumulate on your teeth and degrade the tooth’s structure. We’re here to help clean up that decay and create a healthy, strong tooth structure through our dental restoration services. Cavities develop when bacteria dissolves a tooth’s enamel, or protective coating. For a small cavity, it’s easy to restore the tooth with a filling. 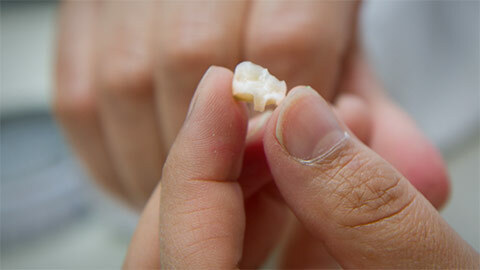 First, we remove the decayed tooth structure. Then, we fill that space directly with a filling. The filling could be the same colour as the tooth, and could be made of amalgam, composite resin or porcelain. Once a filling is in, your tooth will behave as a regular tooth and you won’t even notice it. Inlays are much like fillings. However, instead of filling the cavity directly, we take an impression of the tooth and have a lab prepare an inlay made of gold or porcelain. We then cement that inlay into the tooth. Inlays are durable and long-lasting, and have a superior bond with the tooth. They also reduce the chance of decay recurring in the same area. Crowns are very strong and long-lasting. When a tooth suffers significant injury or decay and the entire tooth structure is at risk, we create a crown for the tooth. First, we remove the decay in the tooth, and then we shape the tooth to support the crown. The crown is made in a lab and then we cement it onto the tooth. It completely caps the tooth, so it looks natural and functions like a regular tooth. If a tooth can’t be saved because it has suffered too much injury or decay, it needs to be extracted. That’s when a dental bridge can be a good solution. First, we prepare the teeth on each side as crowns to support the replacement tooth. Then we cement the artificial tooth between the two teeth. This is a long-term solution. However, we sometimes choose to do a dental implant instead, because we don’t need to alter the other teeth to do the implant. We will work with you to help you choose a solution that you understand and makes the most sense for your teeth. 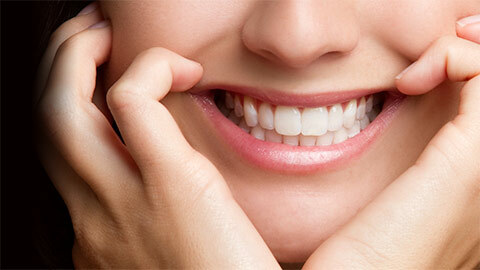 If you need more information about Dental Restorations in Hamilton, contact us today.